Strip tillage specialists Mzuri will be introducing their new 2-year warranty and low disturbance coulter system for the Pro-Til range at the LAMMA event which is taking place on 18th – 19th January 2017 at Peterborough Showground. Visitors to the Mzuri stand G39 will be able to see the Pro-Til three and four metre models with the new coulters and the Rezult, the company’s straw rake for stale seedbed management. The new low disturbance coulter system is available in single and dual row versions which can be specified for new machines this season, as well as retrofitted to older models. The new coulter design delivers improved seeding depth accuracy at less soil disturbance. As only the points come into contact with the soil, metal wear and tear is considerably reduced, resulting in lower running costs. Furthermore, tungsten upgrades are available to extend the point longevity even further. The legs feature an integral seed distribution unit complete with a vent to regulate air pressure which awards a more precise seed placement. Not only are they more cost-effective, the new coulters are much quicker to service as just the points (the only wearing part) need to be replaced. Compatible with all Pro-Til models, the new coulter system will be fitted to Pro-Til 3T and Pro-Til 4T, the three and four metre one pass drill models, on display at LAMMA. 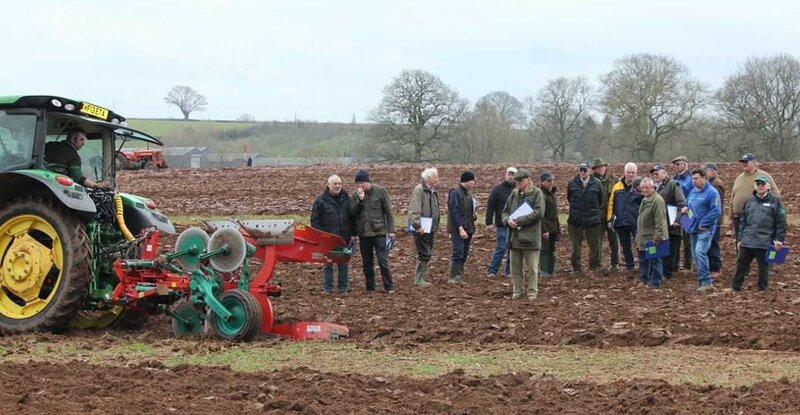 The Pro-Til drills feature a row of leading discs followed by a set of staggered legs, a combination of which allows users to work with vast amounts of straw and previous crop residue. The auto-reset coulter legs are fitted with pneumatic press wheels which reconsolidate the soil twice for maximum seed-to-soil contact. As of 2017, the full Pro-Til range will be covered by an extended 2-year warranty to demonstrate Mzuri’s commitment to the highest standards of product quality and after-sales care. Additionally, Mzuri will be showcasing the Rezult straw rake which is ideal for stale seedbed preparation and blackgrass management. Featuring extra-long 28” tines, Rezult produces a light tilth to stimulate weed germination and disturb slug habitats. Followed by a blanket application of non-selective herbicide, the tilth generator creates the perfect environment for drilling.